U.S. Air Force and coalition forces cover themselves as a CH-47 Chinook helicopter takes off at Florence, Ariz., during Angel Thunder 17, May 9, 2017. Angel Thunder is a two-week, Air Combat Command-sponsored, joint certified and accredited personnel recovery exercise focused on search and rescue. The exercise is designed to provide training for personnel recovery assets using a variety of scenarios to simulate deployment conditions and contingencies. Exercise Angel Thunder, a personnel recovery exercise focusing on Combat Search and Rescue, began operations out of Davis-Monthan Air Force Base, Ariz., Nov. 4, 2017. 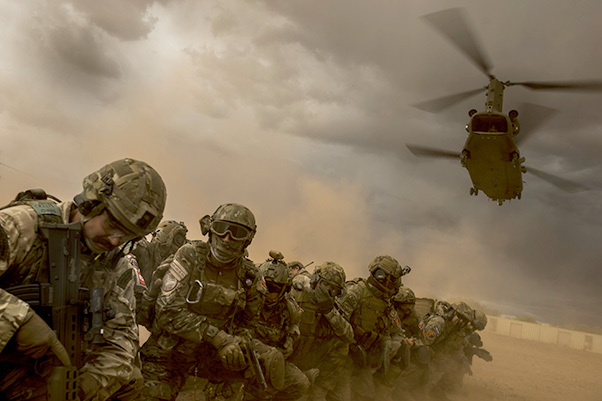 The two-week-long exercise will join personnel from the U.S. Army, Navy, Air Force and Marines as well as personnel from Canada, France, Italy, and Poland to conduct training to prepare to support survivors, referred to as isolated personnel, in a deployed environment. The Air Combat Command-sponsored, joint-certified and accredited exercise overseen by the U.S. Air Force Warfare Center and Red Flag will use a variety of scenarios to simulate deployed conditions and contingencies. 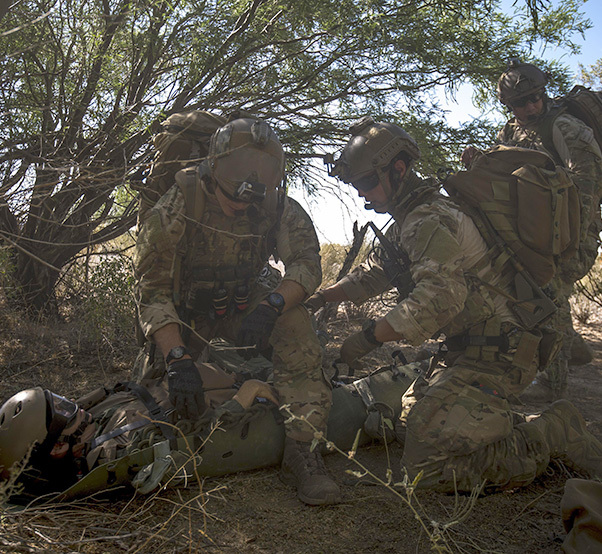 U.S. Air Force pararescuemen with the 58th Rescue Squadron prepare U.S. representative Martha McSally, simulating a downed pilot, during a personnel recovery scenario at Angel Thunder 17 in Gila Bend, Ariz., May 13, 2017. 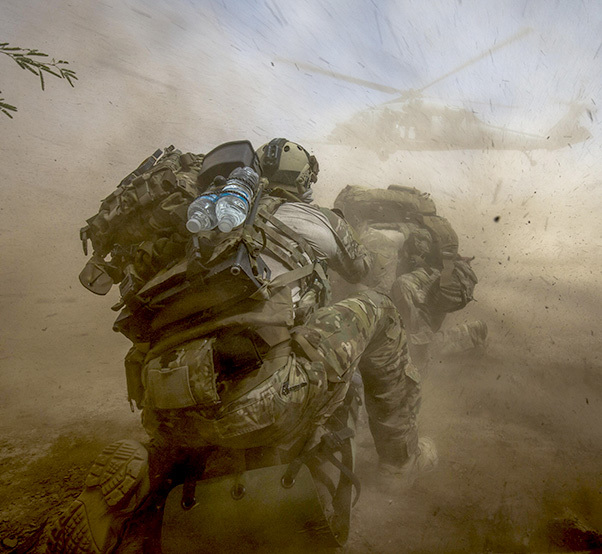 Exercise Angel Thunder is held biannually to ensure units throughout the DOD have the opportunity to participate in CSAR-focused training events. This exercise provides vital training to U.S. and foreign partner personnel recovery forces and helps prepare them for future deployments. Due to the dynamic range of the tactics used by U.S. adversaries, the exercise continually evolves to combat those alterations in order for participants to be better equipped to deal with them downrange. U.S. Air Force pararescuemen with the 58th Rescue Squadron prepare for aerial transport during a personnel recovery scenario at Pond Lading Zone during Angel Thunder 17 in Tucson, Ariz., May 11, 2017.